"OnSet" is the customer magazine of NETZSCH-Gerätebau which appears twice a year with articles on new instruments and new applications around Thermal Analysis. Super-Res® – What Dictates the Separation of Overlapping Thermogravimetric Effects? Conferment of the NETZSCH GEFTA Award 2012 on Prof. Dr. Peer Schmidt. 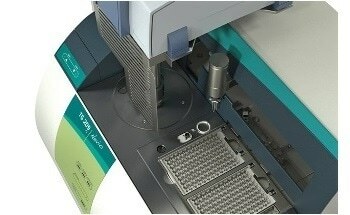 The laboratory version of the DEA 288 Epsilon and the DMA 242 E Artemis. Image Credits: NETZSCH-Gerätebau.